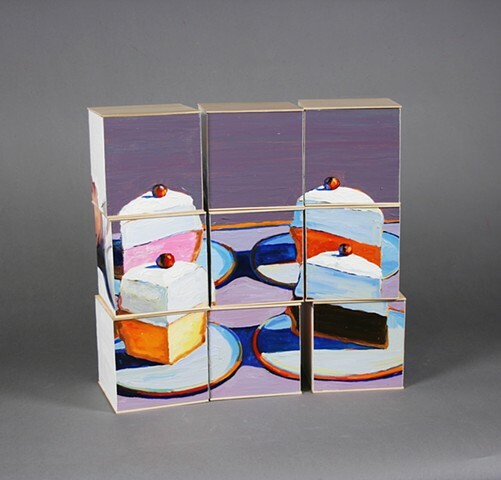 Each side of this stackable set of blocks reveals a different painted image of a Thiebaud painting. Thiebaud was my teacher at UC Davis and this piece is an homage to his work. The paintings are: Pies; Bakery Case; San Francisco West Side Ridge; and Supine Woman.